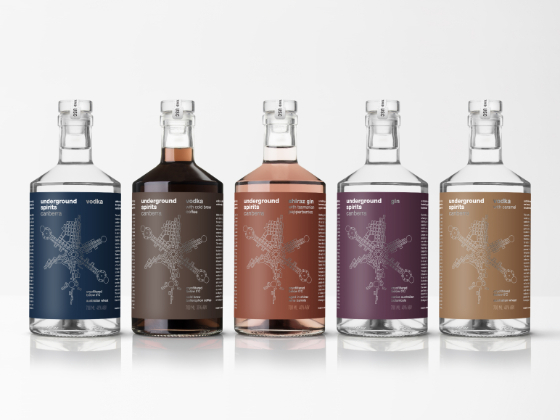 The innovative Underground Spirits range of gin and vodka has been given a fresh new look by drinks design agency Denomination that draws on its Canberra roots and emphasises the science behind the uniquely smooth spirits. 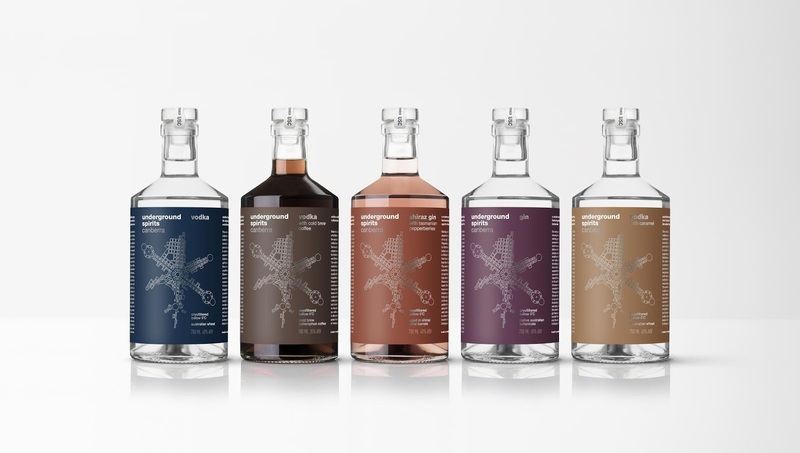 Underground Spirits is an independent, multi-award-winning vodka and gin distillery that partnered with Denomination to develop its strategic brand positioning, brand identity, packaging and guidelines for the range ensuring consistent application of the brand both on and off pack. Founder and master distiller Dr Toby Angstmann patented a new method of filtering at sub-zero temperatures – a process that was inspired by his medical and scientific background as a practitioner in obstetrics, gynecology and fertility. What started out as a hobby has turned into an award-winning, globally recognised product with a uniquely smooth, pure finish. The gin and vodka are available in the UK with an RRP of £45. Currently available in Australia are the gin, vodka, caramel vodka and coffee vodka - RRP of $80. The RRP for the Shiraz and Pepperberry gin is $90.